The Best Sleep Aids for M.E. M.E. patients are often nocturnal creatures- not by choice but as a consequence of their illness. It is a bitter irony that many of us feel the desperate need for sleep during the daylight hours but as soon as nightfall sets in, so does the insomnia or unrefreshing sleep. This blog entry will examine the myriads of potential sleep treatments that the ME/CFS experts of the world prefer. Following this, I will detail my experiences over the years with both sleep enhancing supplements and prescription drugs. It is imperative that I mention that some of these specialists’ recommended treatments are sleep initiators while others are sleep prolongers. Dr Cheney is an advocate of Klonopin and likes using Doxepin Elixir drops in synchronicity with the Klonopin. He states that B12 in the form of hydroxocobalamin injections may help sleep, it taken at night. Magnesium also plays a pivotal part in Dr. Cheney’s sleep repertoire and he prefers it in the form of magnesium glycinate. Dr. Teitelbaum’s approach towards patients’ sleep is multi-faceted. He emphasises that quality sleep is utterly fundamental so much so that his ‘SHINE’ protocol starts with ‘S’ for sleep. Dr. Teitelbaum thinks patients can get the greatest benefit from sleep aids by taking small amounts of as many different sleep aids as required to a maximum of “5 or 6.” He sells his own OTC sleep formula that contains many of the ingredients that he believes helps CFS patients sleep. The supplements Dr. Teitelbaum is an advocate of include; Suntheanine, Wild Lettuce, Jamaican Dogwood, Hops, Passionflower and Valerian. The medications he writes fondly of for sleep, in the order that he generally prescribes them for CFS patients are; Ambien, Trazodone, Klonopin, Gabapentin, Doxylamine (OTC), Carisoprodol, Doxepin, Cyclobenzaprine, Tizanidine and Zaleplon. He describes some patients needing to try different medications and other patients requiring a different order of trial to the above sequence. Dr. Klimas states that sleep improvement isn’t as easy as taking a magic pill. She believes that patients who wake up exhausted require a sleep study that takes place in a specialised sleep lab. The sleep study will determine if the sleep problems are caused by a characterised sleep disorder such as sleep apnea. The study will also document sleep patterns including the need for stage 3 and 4 sleep. Dr. Klimas believes treatment can then proceed following the results of the sleep study. When Dr. Klimas does prescribe sleep drugs, she avoids the likes of Ambien and Restoril believing that they don’t promote quality sleep, instead just instigating sleep. Dr. Klimas is mainly an advocate of Elavil and Doxepin. She also likes Flexeril and Klonopin. Dr. Lapp shares a similar penchant to Dr. Cheney for Klonopin used in tandem with Doxepin, both at a low dosage. He also emphasises that patients needn’t start with prescription drugs for sleep. He thinks milder sleep problems may be quashed by the use of; Valerian, Excedrin PM, Tylenol PM and Melatonin. Trazodone, hypnotic drugs and SSRIs are all sleep treatment possibilities according to Dr. Lapp. Dr. Myhill writes of numerous, non-tablet techniques to maximise the chances of a first-class sleep. She also uses a mixture of supplements and prescription drugs to improve her patients’ sleep. She is an advocate of; Melatonin, Valerian and Nytol. If these treatments prove to be ineffective, she tries prescription drugs including; Elavil, Surmontil, Sonata and Diazapam. Dr. Enlander emphasises the nuanced world of sleep problems and warns of caution when treating sleep apnea sufferers with sleep drugs. He often starts with a drug that is in his words “the least provocative” in Diphenhydramine. If this is ineffective, he commonly tries patients on Trazodone. 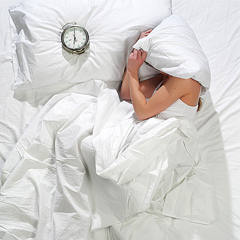 Other sleep treatments that Dr. Enlander utilises include; Ambien, Sonata, Klonopin, Zanaflex or Flexeril. Over the past few months I have taken 3 different sleep aids with the goal of improving my sleep. GABA’s primary action in the brain is to tame the over firing of neurotransmitters. A potential problem with GABA supplementation for sleep is its inability to cross the blood-brain barrier. Due to this pitfall, GABA supplements may work through an alternate mechanism. This is through the GABA supplement’s ability to calm the body and hence reduce insomnia. A sublingual version of GABA may be more effective than the capsule form. 5-HTP is a version of the amino acid tryptophan and was found in two studies to improve Fibromyalgia patient’s symptoms. This study by Puttini et al. involved 50 Fibromyalgia patients taking 5-HTP for 90 days. Improvements were seen in the areas of; fatigue, sleep quality, pain, anxiety and the number of tender points. A ‘good’ or ‘fair’ improvement was seen in about 50% of patients. 30% of patients reported side effects but only one patient dropped out of the study for this reason. This second study by Caruso et al. was double blinded and placebo controlled. 25 Fibromyalgia patients were given the placebo and the other 25 Fibromyalgia patients took the 5-HTP. The group given the 5-HTP were provided with 100mg three times a day for 30 days. Similarly to the previous study, improvements were seen in tender points, pain, sleep, anxiety and morning stiffness in the group taking 5-HTP. Although the placebo group also improved in sleep and pain measurements. 5-HTP is used by the body to make serotonin which may improve sleep quality. Serotonin syndrome is a risk if other treatments to increase serotonin are taken with 5-HTP such as SSRIs. L-theanine is an amino acid and may improve sleep due to playing a role in increasing brain levels of GABA, serotonin and dopamine. L-theanine is responsible for the taste and calming effect of green tea. Dr. Teitelbaum is an advocate of L-theanine and recommends 50mg to 200mg before bedtime to improve sleep. He also writes that it can be taken several times during the day to improve anxiety. This study found 400mg of L-theanine to improve the sleep of boys with ADHD. Over the past few months, I trialled each of these sleep aids. I took 750mg of GABA for a period of a week and didn’t notice any effect on my sleep. I took 200mg of 5-HTP before bed for a week and similarly failed to notice any effects. I took a dosage of 300mg of L-theanine before sleep and 150mg upon waking during the night and this improved my sleep marginally. I have been desperate for any improvement in my sleep and hence I continue to take L-theanine every night although only 150mg before bed and 150mg when I wake during the night. Sleep improvement is widely known as being a lynchpin in countless ME protocols. Over the past 10 years, I have woken up every morning feeling more sleepy and groggy than when I went to sleep the night before. There have been several exception to this, which I vividly recall- mornings when I have woken and felt well rested. These instances have occurred after I took; a Myers’ cocktail, TTA and on the last occasion Moringa Oleifera. The quality sleep these treatments provided me was only transient-lasting one or two nights. It is a curiosity that each of these treatments lacks a direct mechanism of action on sleep and I took them for ulterior purposes. I have also experienced insomnia for the past 4 years of my illness and continue to battle this. Elavil (in a low dose form) on several occasions. It perpetually induced next-morning drowsiness. Diazepam which I have rarely used and 1.25mg is sufficient to induce sleep for me. I only take this if necessary and have only consumed it once in the past few months. Low dose naltrexone for the past 5 years and I continue to take this. Its only effect on me seems to be that it has slightly improved my sleep length. Melatonin, long term and I only recently stopped this as it wasn’t having as much of an effect on me. It does however have multiple potential mechanisms of actions on ME symptoms and these studies emphasise its potential benefits. Valerian tablets, which are probably the most effective sleep aid for me and I continue to take them before bed and when I wake up during the night. Currently my nightly sleep tablet regiment involves; low dose naltrexone, valerian and L-theanine. I also use nasal strips every night for my sleep. Well done! Good luck with your attempts to get better sleep! Thanks to the common use of klonopin by cfs doctors Im living this nightmare of withdrawal for over a year now. Now withdrawal is subsiding lot of cfs complaints I got after I started klonopin also subside. Something to think about. Also visit Benzobuddies.com before ever start using a benzo or Z drug for sleep. You dont want to have cfs ánd go through withdrawal. I know many people with cfs who followed Dr. Cheney’s protocol who are now suffering terribly from benzodiazepine syndrome. He says that Klonipin is safe because it’s given to children. That’s ridiculous. There are many parents who are also trying to help their children painfully wean off Klonipin because of the brain damage it has caused. Not only is it highly addictive but it causes damage to GABA receptors throughout every system in your body. People like him use their doctrates to promote pseudoscience and it’s innocent people who suffer. Stay far away from anyone who recommends benzodiazepines for daily use. Klonopin, diazepam, ambien, temazepam, and even elavil can cause dependency and horrendous withdrawal symptoms if used too frequently. Klonopin in any dose is not the answer to a good nights sleep. It is a horrible drug bound to ruin the lives of already ill individuals. Medications are not a cure. Do not ever use klonopin as it is additive and I should know I have been on it for 12 years and when its stops working you go through terrible withdrawals. Benzo are not the way to go. Thanks for all of your comments regarding Klonopin. I personally agree with everything you have all written about it. If I were a prescribing doctor, I would not use it as a sleep treatment and would probably not prescribe it at all. Out of all the drugs I have tried for my M.E., Klonopin has been the one that I have felt is the most potentially dangerous. 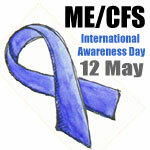 I wrote a blog entry about it here: https://livingwithchronicfatiguesyndrome.wordpress.com/2012/09/13/september-2012-a-treatment-update/ in which I emphasised some of its potential dangers and anecdotal reports of its negative effects on some M.E. patients. Fortunately for me, I didn’t suffer any effects from it. On the flip-side, I must mention that some patients have benefited from the drug and the occasional patient significantly. Having said this, I think the risk to reward ratio still doesn’t justify its use. Thanks for all the comments highlighting the potential dangers attached to this treatment. This was mainly a lot of pill advice instead of finding the root cause. Thanks for the comment Toove. 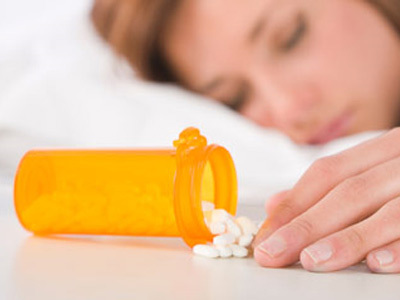 I certainly share your sentiments that taking prescription drugs is not the first step in treating a sleep disorder (although this depends on the severity.) Dr. Myhill has some good techniques to try and optimise sleep that are all non-medicative. Failing this, finding a good combination of supplements that suit the individual is probably a necessity. 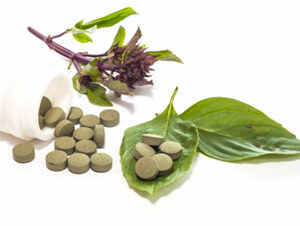 There are some over the counter drug treatments in the article that should also be considered. A sleep study is also a step that may be beneficial before trying prescription drugs. Unfortunately, many ME/CFS patients have tried these steps to no avail and the sleep problem is so debilitating that the rewards of sleep drugs outweigh the potential risks. It seems some (most?) of us CF/ME folk metabolize drugs more slowly than normal. Thus, a drug which is “perfectly safe” may have unexpected effects. There -is- a withdrawal period for many of these, and the withdrawal from some can be a very difficult business. That part isn’t advertised, your doc may not know or may be in denial. Example: Ambien. This is a powerful drug, not to be toyed with. After some time taking it, you may be entirely unable to sleep without it. Now, how are you going to stop? You can try taking a little less, but then you’ll wake up too early and completely exhausted. But you can’t sleep… It’s not a few nasty days, it will be weeks at best. Breaking an Ambien dependence (which you were told doesn’t exist) may take months. ideally you should try find a few medications that work and cycle them.in conjunction with sleep supplements/herbs that way you don’t develop a tolerance to them. It may still be possible to become addicted but i thought this would lower the chances. i gather a number of people with cfs do this and hopefully your doctor understands and wont limit to scripting one med at a time. Thanks for the comment and interest. I hope to write another blog entry in the coming weeks discussing treatments I have tried recently. Overall, my ME is fairly static at the moment, although I have developed joint pain over the past 6 months and have seen a rheumatologist for this. Other than the odd symptom coming and going, my ME hasn’t really improved or worsened over the past 5 years. I find valerian useful too. On my blog I wrote a couple of years ago about how I noticed liquid valerian eg Salus was more powerful than tablet or tea. It’s quite hard to get hold of liquid valerian without alcohol now for some reason. Thanks so much for this – I’m slowly fixing my sleep issues, but the time has come for drugs – I have difficulty falling asleep, and although I am a sound sleeper, I think the quality of that sleep isn’t sufficient. Thanks for the kind comment! I wish you the best of luck in gaining that elusive quality sleep. Hey Nick, it’s good to hear from a fellow Adelaide CFS patient! I wish you the best of luck with Lyrica and hope it causes some quality stage 3 sleep. I’d love to hear if you benefit from it. @Nick I’m sorry to hear that the Lyrica didn’t work. Dr. Del Fante presrcibed me low dose Endep many years ago and it provided me with sleep but I continually felt drowsy the next morning. I haven’t looked into the effects on the heart. I’ll email you the list of Adelaide CFS doctors I’ve compiled. My doctor gave me Seraquel and I sleep like a baby. Maybe this could work for you. Best wishes. D.
@Debbie Thanks for the info, I’ll look into this treatment to see if it might be suitable for me. I’m glad to hear that it’s helping you.